The day the Chinese first discovered how to make “Paper” was a great invention in the history of mankind. How much we prove that its a e-world still we use paper in some or the other way. The paper industry has a long history with nanotechnology, virtually since the invention of cellulose fiber-based paper. Bonding of pulp fibers occurs on a nanoscale and fibers themselves are made of nature’s nanotubes known as fibrils. The global forest products industry has a home field advantage with nanocellulose as its infrastructure is based on planting, harvesting and managing forests. As cellulose nanomaterials find more commercial applications, wood fibers will be used for much more than making traditional paper, wood beams, or being burnt for energy. Researchers around the world are looking into making stronger paper, better coatings, improved barrier properties, and replacing petroleum-based polymers, all with nanocellulose. Nanotechnology plays a major role in the development of new products to alternate existing chemicals and materials with improved performance and potential cost savings. Reduced consumption of materials also benefit the environment. Moreover, nanotechnology gives possibilities to organise and develop production processes. While there are a lot of nano materials, the one most relevant to the wood-based industry is nanocrystalline cellulose, a renewable, recyclable and abundant nano material made of cellulose fibers from the pulp manufacturing process. 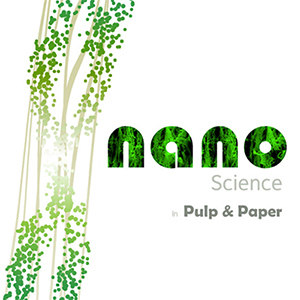 Presently the paper industry uses nanotechnology in two ways: firstly, to enhance current products and create new ones, Secondly, to discover ways that cellulose fibers can be used for products outside the industry. Nanocellulose is the world’s most abundant natural polymer and has crystalline properties that allow colored films to be produced without pigments. Nanocellulose also have a very high elastic modulus which makes it extremely stiff 10 times the high tensile strength of a steel and a thermal expansion 100 times lower than steel. A number of applications based on nanotechnology have been around for several years. The implications of nanotechnology for the paper industry range from wet-end chemistry, fabrics, and roll cover materials to adhesives as well as pigments. 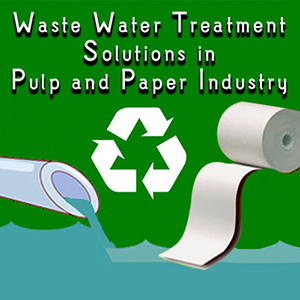 Advanced membrane technology has applications in raw and wastewater treatment. Other techniques are under way to provide better means of improving air quality. Nanotechnology can also assist in small scale designing and tailoring sensors for process control as well as product development and quality. Furthermore, non-destructive product testing could benefit from nanotechnology. The concept of zero-effluent discharge mills appears to become a possibility because of innovative nanofiltration and membrane technologies. Paper Machinery manufacturers have started producing paper machine rolls and fabrics with a micro and a nano base. Online quality measurements using micro sensors are becoming almost common now for production of paper with consistent quality. Nanocoating process has already been adopted by many paper mills, producing paper of very high quality. 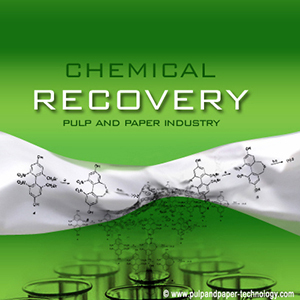 The latest concept of pulp mill as a biorefinery has opened up new avenues for the pulp and paper mills to become a profitable industry. The benefits of nanotechnology are potentially revolutionary in nature. At the very least, a leap in the evolution of today’s products as well as manufacturing fundamentals can be expected. With funding from both governments and venture capitalists, the innovation process will accelerate. Currently, the paper industry is the largest user of nanotechnology of all industries. As nanotechnology is very multidisciplinary, there is a need to share knowledge, tools, techniques, as well as expertise on atomic and molecular interactions. Materials scientists, mechanical and electrical engineers, and medical researchers work together with biologists, physicists and chemists.